The Importance of Vitamin D | Feather Sound News & Beyond! The Importance of Vitamin D – Feather Sound News & Beyond! My goal is to help my patients build the best cell membrane and immune system possible. Besides giving my patients protein to build the immune system we also need one other very important vitamin and that is Vitamin D. It is known as the “sunshine vitamin” you would think that living in Florida most of my patients would have plenty of Vitamin D. That is not always the case. Most people work indoors and they do not go out between the hours of 10-2 which is the best time to absorb Vitamin D. Also, if you use sunblock or wear long sleeves to protect your skin from the sun you won’t absorb very much Vitamin D.
What is even more amazing is that when you combine a super concentrated protein with a blend of fish & flax oil you turn each cell membrane into what we call a CIS configuration; a ‘positive’ charge on the outside and a ‘negative’ charge on the inside. Like a battery, when sunlight hits those positive charges they vibrate and turn mechanical energy into chemical energy called Vitamin D! Dr. Budwig of the Budwig Cocktail and our Young Health Shake talked of how most people with good cell membranes (CIS) would not burn badly in the sun. If the cells can vibrate, it works like popcorn, leave it on the stove and popcorn burns, move it around over the stove top it does not! Most Americans have Trans Cell Membranes; a positive charge followed by a negative charge on the outside cell membrane so they can’t vibrate. So, the patient’s skin burns more often and they don’t make Vitamin D. However, a person with a CIS membrane can make anywhere from 30,000 – 50,000 units of Vitamin D per hour if out in direct sunlight. I had a patient with a great tan, she biked the local bike trail 3-4 times a week so I was positive she had a good Vitamin D level. I was wrong. The recommended level is 60 which is the level at which the body has the most cancer protection. So, I had to supplement her with Vitamin D to boost her numbers. The different levels of Vitamin D are: 0-29 very low, 30-100 acceptable, and anything over 100 is toxic. That was until I heard a lecture by Professor Holich of Boston University School of Medicine, who believed that there are no such thing as toxic levels of Vitamin D. Vitamin D can raise calcium levels so you do need to watch this if you are supplementing your Vitamin D. After the lecture and some research of my own I started to step my patient’s Vitamin D levels up; as I did, I noticed some interesting things happening. For example, I put a lady on Vitamin D because her level was below 30. I put her on 20,000 units a day for 3 months. 20,000 units a day for a month will raise levels by 20 points and after 3 months I decreased to her to 10,000 units a day to maintain the level. The average person uses 5-10,000 units a day just to live on planet Earth; however, if a person is under a lot of stress, they may need 15,000 units a day to maintain. My patient misunderstood me and after 3 months she continued to take 20,000 units of Vitamin D a day month after month. She came in for check- up several months later and her level was 150! I asked how she felt and she said “I feel smarter and my hand and eye coordination is better, also, by the way I’m never sick”. The calcium levels in her case were fine. I kept her at that level and she is still doing well. I had another patient with a high level who went to see her pulmonologist. When he saw the level, he stopped her Vitamin D immediately and a few weeks later she ended up in the hospital with pneumonia. She was mad. She fired her pulmonologist and went back on her Vitamin D. She claims that she has not been sick since. Here is a little trick I have learned, if I feel I’m coming down with a cold, I’ll take 40,000 units of Vitamin D at bedtime for 1 or 2 nights. Next morning, I am usually a new person. In many cases ‘if’ a cold comes it will be far less severe than it could’ve been. There was a study out by Loyola University looking at Vitamin D use and Diabetic Neuropathy. Each participant took 50,000 units of Vitamin D a week and there was a dramatic reduction in their Neuropathy after 6 months. However, I read the article wrong thinking that the dose was 50,000 units a day, so that was what I did. I was checking the calcium and D levels every month and low and behold the patient’s Vitamin D levels were at 200 points and the neuropathies either diabetic or chemotherapy related were remarkably better after 6-8 weeks! I started then to look at some other auto-immune systems diseases like Rheumatoid Arthritis (RA) and felt that if I could make the immune system more alert that these diseases may respond better. As an example, I had a 26-year-old patient with severe RA. She was on prescription drugs but not doing well and came to me for help. I had put her on the Young Protein Shake to help reduce inflammation and then put her on a high dose of our liquid Vitamin D. With her levels over 200 within 6 weeks, she was off all her prescriptions and feeling great. The nodules on her bones started to go away. There are many stories like this from my practice but the thing I want to emphasize is that to have a working immune system one needs Vitamin D in larger doses than most doctors are giving. 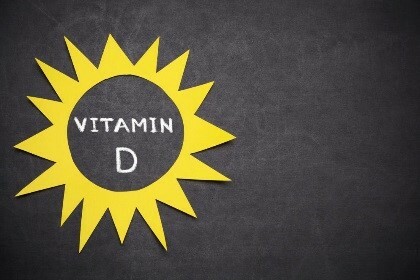 If you do decide to supplement with high doses of Vitamin D, it is vital that you consult with your doctor. I hope you have fantastic results! Do humans do photosynthesis just like plants?